Eve Arden: What a Character! 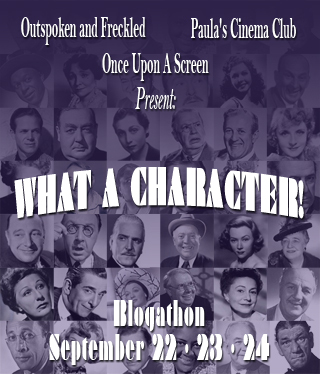 When my fellow cinephiles Aurora of Once Upon a Screen and Paula of Paula’s Cinema Club and I decided to create a blogathon event based on the unsung heroes of cinema, What A Character! was formed. The inherent challenge in such a blogathon is narrowing down to just one character actor in which to write upon. Despite the numerous scene-stealing talents over the decades, one in particular stood out for me… Eve Arden. I’ve always been drawn to Eve Arden and her characters. There was something in her screen persona that always resonated with me. What does this freckled, raven-haired ‘thick’ gal of a 5 foot 4 inch stature have in common with a 5 foot 8 inch, light-haired, statuesque, famed woman of the small and big screen? Nothing physical nor in talent, I assure you. But what Eve Arden was best known for, that sardonic rapid-fire wit… now that’s something that this gal understands well. She was also known as the leading lady’s best friend, the female side-kick, a career woman, a Mom and always of an independent and grounded nature. To me, Arden was the leading lady who usually played the supporting and character roles. But a key reason why she found herself in more character roles than in leading roles, is something else that she and I share in common… valuing work-life balance to prioritize family. She once said, “I’ve worked with a lot of great glamorous girls in movies and the theater. And I’ll admit, I’ve often thought it would be wonderful to be a femme fatale. But then I’d always come back to thinking that if they only had what I’ve had – a family, real love, an anchor – they would have been so much happier during all the hours when the marquees and the floodlights are dark.” I couldn’t agree more. Like me, Eve Arden grew up as a catholic school girl whose parents divorced when she was young. She was born as Eunice Quedens in Mill Valley, California in 1908 and by the time she turned 16, she left high school to pursue stage acting in a stock troupe (Okay, so we don’t have everything in common.) After a couple of small parts in film, she was advised to change her name. As she looked upon a her vanity of cosmetics and perfume, she gazed upon “Evening in Paris” and “Elizabeth Arden” and voila! Eve Arden was born. Through her stage work like in the “Ziegfeld Follies” on Broadway and multiple minor roles in films in the 1930’s, she gained a reputation as the sharp-witted comedic character and so acquired attention for a constant stream of films. She played the sardonic side-kick in supporting roles with razor-sharp delivery in dozens of films throughout the 30’s and 40’s like: OH, DOCTOR (1937), STAGE DOOR (1937), AT THE CIRCUS (1939) as acrobatic Peerless Pauline with Groucho Marx, THAT UNCERTAIN FEELING (1941), THE DOUGHGIRLS (1944), and her Academy award nominated role Ida in MILDRED PIERCE (1945). As a matter of fact, she made twenty films in a period of just three years in the late 30’s. To close out this decade, Arden took a break from her mastery of the sarcastic and quick-witted female friend stereotype to go back to Broadway. She starred in the musical comedy “Very Warm For May” (1939), musical revue “Two For The Show” (1940) and the musical comedy starring Danny Kaye, “Let’s Face It” (1941). 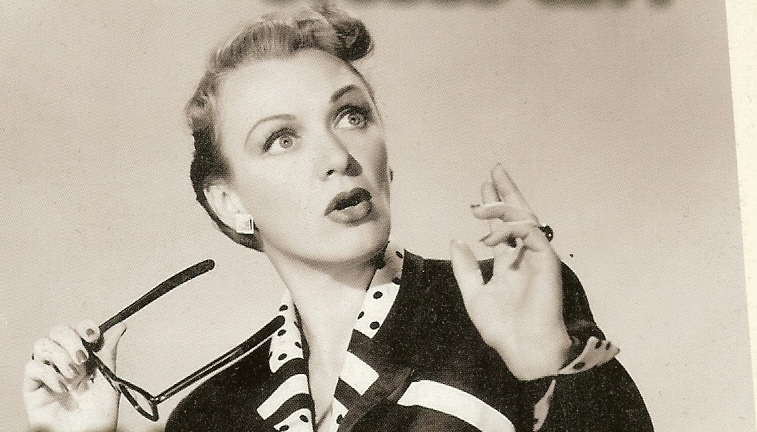 With her signature voice and well-known character type, Eve Arden was a natural for radio. Her comedic timing was a great match with Danny Kaye’s fast-paced zany and quick-witted style. So, she worked with Kaye again as a regular on his radio show, which lasted 58 episodes. Then in 1947 came the landmark role of her career. As Connie Brooks in “Our Miss Brooks”, Eve Arden landed the role that perfectly suited her persona and in 1952 CBS took the radio show to television. The popular TV show continued through 1956 and even led to a film based on the series: OUR MISS BROOKS (1956). She briefly tried a show in her namesake, “The Eve Arden Show” (1957) but it was canceled soon after. It was in the 60’s that she focused on raising a family with her second husband, Brooks West. Both West and Arden co-starred in supporting roles in Otto Preminger’s ANATOMY OF A MURDER (1959). West played the local prosecutor opposite James Stewart as the defense attorney. Her first marriage to Ned Bergen lasted from 1939 to 1947 yet ended in divorce with no children. It was in her second marriage, she discovered her true anchor in life. She had four children (one biological son and 3 adopted- 2 daughters and one son) with Brooks West in a happy marriage that lasted from 1952 until his death in 1984. Here’s another similarity I share with Eve Arden, as I too happily share four children with my second husband…my true love and anchor in life. Her commitment to balance work with her prioritized family life remained; including a few guest spots and even squeezed in a sit-com, “The Mothers-In-Law”(1967) along side Kaye Ballard which lasted two seasons. She continued to work through the 80’s with occasional cameos including her well known role as Principal McGee in GREASE (1978) and GREASE 2 (1982) and Warden June in PANDEMONIUM (1982). These roles reflected her sarcastic, sharp zingers that made her famous like her Miss Connie Brooks. Eve Arden is an actress that effectively worked in the industry a majority of her life, which ended in 1990 at the age of 82. Her career spans sixty years in radio, on stage and in film. No easy or common feat, to be certain. But what’s even more impressive is that she managed her time in a way that focused on her family as a priority, in the midst of this ongoing active career. What a success story! Personally, I’ve worked in various jobs since I was twelve years old. As a busy and similarly-sassy middle-aged Mom of four who has spent periods of time to raise my kids then returned to work again, I respect Arden’s choices tremendously. To me, Eve Arden was a tremendous success as a career character in both her work and in life. What a character, indeed! Though I liked Arden in "Anatomy of a Murder" and "Mildred Pierce", I must confess my favorite performance of hers is still in "Stage Door", one of my all-time favorite movies. Though she's fighting it out (metaphorically speaking) with people like Katharine Hepburn, Ginger Rogers and Lucille Ball, Arden still gets many of the best lines of the movie (my two favorites – when she witnesses the double date Ball is about to drag the reluctant Rogers off to, Arden cracks, "Pleasant little foursome. I predict a hatchet murder before the night is over"; then, when one of the others asks what the doctor said about Andrea Leeds' character, she responds, "'Malnutrition', he called it. That's Latin for not eating"). Great write-up! I love Arden for the same reasons you do. I really respect how deliberate she was about her life choices – her life didn't run her, she ran it. My favorite film she's in has to be STAGE DOOR (1937), but my absolute favorite Arden is the radio version of "Our Miss Brooks." I love listening to the podcast when I'm having breakfast! I would be jealous of you for nabbing Arden first, but you've done such a great post, I can't really be angry. Thank you! Wonderful review of one of my all-time favorites…she has a marvelous voice and a one-of-a-kind delivery. Her inborn elegance saved her from descending into self-mockery (like Joan Davis) and that's just one of the reasons I love her. Well done! Thanks for this, KayPS-I think my favorite turn of her is as "Stonewall" Jackson in Cover Girl…her timing and quirky "takes" are priceless! In Mildred Pierce, Eve Arden uttered one of my favorite lines in all cinema: "Veda's convinced me that alligators have the right idea. They eat their young." The words are funny, but her dry delivery made them sublime. This is a lovely tribute. You did her proud! when you come at her career like our generation does, backwards via Grease and then Mildred Pierce, you have no idea just how GLAM she was in her youth. She had great timing and the perfect voice to deliver those devastatingly funny lines- nice job! What Kristina D. above said. I really had no idea of all her work. Perfectly done. I had forgotten she was in the Grease movies. I never really got into those, but I love her classic film roles and her old time radio work. It's nice to know she managed to find happiness. I liked learning that. Thanks for spotlighting her! Seriously how hilarious are those lines?!! And only Eve could deliver them with full justice. So happy to discover others that enjoy her as much as I do! Thanks so much for sharing your feedback! Her character and lines in STAGE DOOR was the best! Margaret, we have so much in common interests, gal. TRULY. It's funny you should mention the jealousy over nabbing Eve Arden because I have a confession… I was jealous of you nabbing "It's A Mad, Mad, Mad World" for the Universal blogathon. LOVE that movie! See? If we lived nearby, I bet we'd happily do a weekend of movie marathons & always pick the same flicks. 🙂 Thanks again, Margaret!! You're right, Kay. She always brought some class to each of her roles, as that was her nature. "Stonewall" was a great role for me to watch because she played a strong female in a respected career woman role. She was beautiful, elegant and confident without being subjugated to the typical typecasts back then of being overly sexualized or oppositely treated like the 'old maid'. Thanks for commenting & so glad you enjoyed it! Especially since you're a BIG Eve fan! THANKS! Mildred Piece was a fantastic vehicle for her as her Academy Award nom reflects. What a fab film! But, who else could play that role with same delivery? Eve was one-of-a-kind! Thanks again for reading- thrilled you enjoyed it! Glam indeed! Kristina- I really appreciate your comments and agree that's how most of us discovered her. The more films I saw of hers, the more I felt like I was getting to know a kindred soul! Thanks so much!! I love discovering real-life happy love stories! So, it delighted me to discover that aspect of one of my favs! Thanks for stopping by and commenting, Beth Ann! Glad you featured Eve Arden. Arden is one of those character actresses who is so good that she often gets overlooked. Like you said, who else could deliver those zingers in "Stage Door" with such ease? And I have a confession to make: I love "The Mothers-in-Law!" Good job and thanks for bringing some attention to this wonderful actress. P.S. I really wanted to participate in this blogathon, but just couldn't make it work. If you do part two, I'm writing about Ruth Donnelly. What a character, indeed! Thanks for a fun post about a special actress. Eve was terrific. I love all her more sophisticated roles where she gets to give out the zingers, but check out "The Doughgirls" as an example of her at her most wonderful goofiness. Every time I watch MIldred Pierce, I always wish that Eve Arden could come and hang out at my house. Love sassy women! Great choice, Kellee! Eve Arden was always one of my favorites. I always wanted to be like her. Kellee! Thanks for the great write-up on one of my favorite character actors. She had such a wonderful voice and as you mention her timing and wit are razor sharp. Kellee, this was a wonderful post. Thank you for enlightening me of her life outside the studio. I didn't know she put family first; that says so much. She was a first-rate woman and a great actress. I looooove "The Mothers-in-Law", which makes me think of her cameo in the William Holden episode of "I Love Lucy". Her wit and dry delivery in her roles keep me in stitches. Eve Arden was one of my faves, too! I've always liked her, but now I admire her all the more, thanks to your post. It's always refreshing to read about Hollywood folk who were able to find real happiness and stability. I couldn't figure out how to comment like a normal person, Blah! Anyway, I love Eve Arden in Mildred Pierce. I love her little comments and how she said exactly what we are all thinking! I always want to see her take a nice swing at Veda. That is the only way that film could have been better. Great post Kel!! Eve was really wonderful! You are *so* Eve Arden! When I think of her movie personality (with all the wise-cracking one-liners) that's how I think of you! If they do a part two, I'm going to write about Eugene Palette and Guy Hibbee from Mr. Smith Goes to Washington. Great, great parts. The first time I ever saw Eve Arden was in 1978 at the Drive-In watching Grease (the first time I saw Joan Blondell as well) but of course I have gone back and seen much more (as is the case with Blondell as well). Great write-up on a great and funny actor/singer/dancer/icon. Nobody, but nobody, could deliver a zinger like Eve Arden. Don't we all wish we had her style? Wonderful spotlight on a great gal. Jacqueline- thanks so much for adding your mutual love for Eve. And thanks again for joining the blogging fun! Paula~ thanks, sweetie! Glad you enjoyed it. 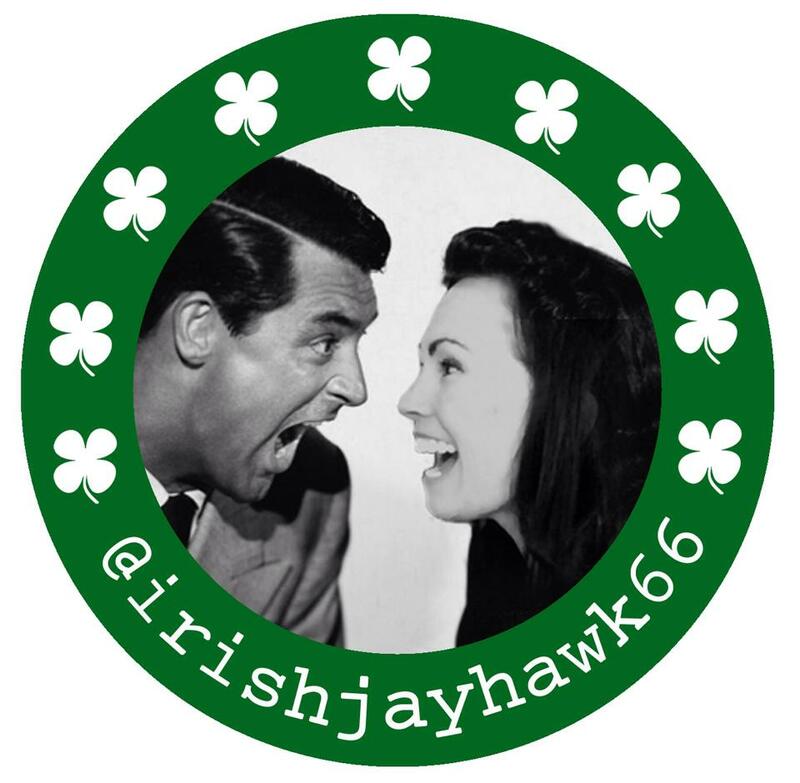 This WAC blogathon was a blast! Thanks, Joel! That is SUCH an AWESOME compliment!! Thanks so much! And, YES we all do! Thanks for responding and adding to this blogathon, Kevyn. Isn't it wonderful how we slowly discover the full breadth of an actor's talent as we explore more of their films?! thanks again for stopping by. Thanks again, Le! It was so great to have you join our blogathan, too! I'm so thrilled you enjoyed my post on Eve! And yes- it's great to discover when someone, especially a star, finds true happiness. Thanks SO much, Debbie! Me too! Kudos for that post on deliveries to Ireland. It was quite detailed and had all the necessary information that one may require. It gave me a chance to view things in a much different and better way. Denvar Lois- this is a post about actress Eve Arden. Sounds like you got a bit lost here? Can you help me to identify this Eve Arden film?Several times, my mother has described an Eve Arden film wherein Eve receives the wrong coat from a coat check and the coat turns out to have some kind of sound-effect device in the pocket.As Eve and a guy (my mom doesn't remember who) go different places, Eve occasionally, accidentally, hits the sound-effect device, causing it to play train whistles, dog barks and other effects that startle Eve (and others), resulting in humorous reactions.Those are the only details I know.I hope you can help me find this.Thank you.